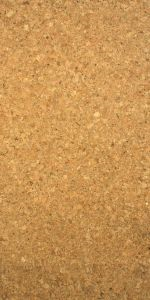 A natural coloured cork wall tile. We highly recommend using Acrylic Cork and Wood Sealer to seal, protect and maintain these cork tiles, and instructions for fixing the tile is included in the box with the tile. As you would expect from a basic cork tile. We would advise obtaining a sample to view the shade and size before making your final decision. If you wish to discuss your project in more detail, please call our sales team on 01536 314730, and they will be more than happy to help you.